Join us at the 2019 ANZ and CCIWA Economic Breakfast. Now in its 20th year, this notable event on the WA business calendar is not to be missed. Hear from ANZ Chief Economist and Head of Research, Richard Yetsenga, who leads the bank's economic and market research efforts, with a focus on Australia, New Zealand and Asia. 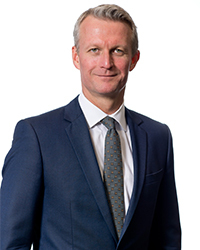 Our CEO Chris Rodwell will discuss WA’s economic diversification and the need for big ticket economic reform to ensure business can remain competitive on the global stage. He'll also outline how CCIWA is playing its part to ensure that WA is a place where businesses of all shapes and sizes can succeed. We'll also hear from inspirational special guest, Michelle Cowan, Australia's leading female AFL coach and the first female in Australia to coach men at a state level. She's the former Senior Coach of the Melbourne Women's Team and Inaugural Fremantle Dockers AFLW Senior Coach. In 2013, Michelle was awarded the Football Woman of the Year award. Michelle Cowan's story is inspirational and insightful. She will challenge you to think about your own leadership and how your role as a mentor can truly make a difference to others. A compelling speaker about team dynamics, leadership, inclusion, perserverance and passion, Michelle draws on her outstanding career within the AFL for a humorous, inspiring and entertaining presentation. Her story is so much more than football - rather a tribute to what all of us can achieve with enough guts, grit and determination. She shines a light on her own mentors: people who have inspired and empowered her throughout her career. 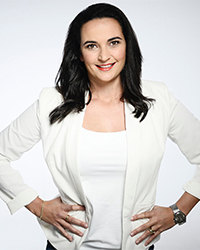 Michelle is considered one of Australia's best keynote speakers, regularly receiving outstanding reviews from audiences and is not to be missed. Finally, we'll have a Q&A panel session allowing the audience to ask their questions about economics and leadership. It'll feature CCIWA Chief Economist Rick Newnham, Richard Yetsenga and Michelle Cowan, and will be facilitated by Kathleen Jahour, State General Manager - Business Banking WA, ANZ Business & Private Bank.